HomePrint vs. online newspaper readership behaviors don’t look promising at all for media properties. Print vs. online newspaper readership behaviors don’t look promising at all for media properties. From the New York Times on down, leading publishers are telling us that print versions of their newspapers will eventually disappear. The only question is how soon it will happen. But what are the implications of this pending shift to all-digital? Will online news consumers be as strongly engaged as they have been with the print newspaper product? We now have a window into answering this question by looking at the experience of The Independent, a UK national daily paper. Two years ago, The Independent made the shift to become an online-only publication. And the result was … no measurable increase traffic shifting from offline to online. That finding comes from a before/after analysis of the publication’s performance as conducted by European communications industry researchers Neil Thurman and Richard Fletcher. What they learned is that shutting down the print property didn’t drive those news consumers to print-like consumption habits on digital devices. Let’s drill down a little deeper. 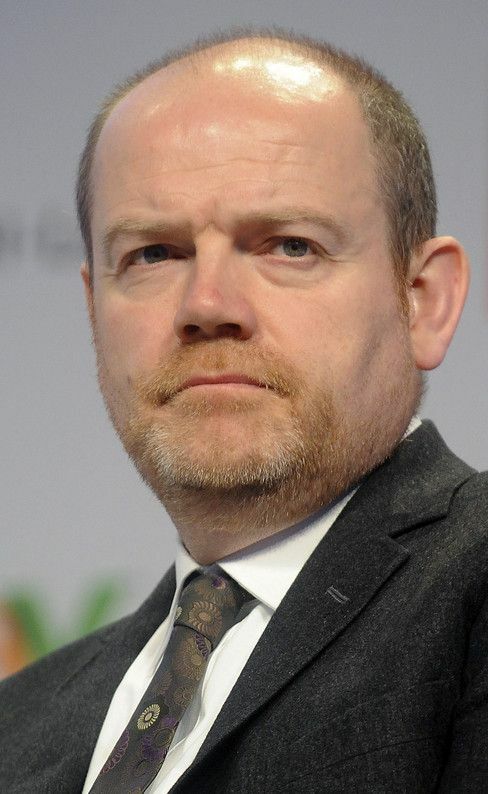 At the time it ceased publishing a print edition of its newspaper, The Independent had a paid print circulation of approximately 40,000, along with ~58 million monthly unique visits on its digital platform. That a humongous chasm … but the researchers found that the publication’s relatively small number of print readers were responsible for more than 80% of all time spent consuming all of The Independent’s news content – print and digital. That is correct: Considering engagement on all of its digital platforms, all of that added up to fewer than 20% of the time collectively spent reading the print publication. The chart below shows what happened to readership. All of the time The Independent’s print readers spent with the paper seems to have simply disappeared when the company ceased publishing a print version. It didn’t transition to independent.co.uk. Even more telling, the researchers found that half of print recipients had read the newspaper “almost every day,” whereas online visitors read a news story in The Independent, on average, a little more than twice per month. While print readers typically spent from 40 to 50 minutes reading each daily edition of The Independent, online readers spent, on average, just 6 minutes over the entire month. Here’s the thing: Whereas print newspapers usually have few if any competitors in their immediate space, online there are an unlimited number of competing sites to attract (and distract) the reader – all of them just a mouse-click away. There is one silver-lining of shifting to an all-digital platform, at least in the case of The Independent. That shift has resulted in increased international reach by the publication. But The Independent is a national newspaper, unlike most of America’s leading papers, and so that sort of positive aspect can’t be expected to apply very easily to those other media properties. How many people outside of central Colorado can be expected to read a digital edition of the Denver Post? 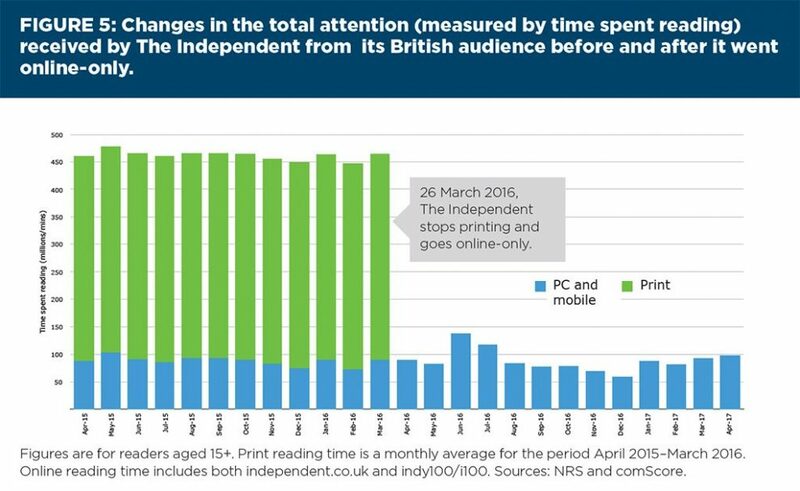 The main takeaway from The Independent’s experience is that for any paper choosing to go all-digital, chances are high that the audience isn’t going to follow along – certainly not at the level of loyal, in-depth time once spent with the print product. ← China-bashing is taking its toll. A physical newspaper’s bulk virtually begs you to turn its pages. You want to see what’s “hidden under the pile”. It’s a primeval instinct to seek out the stored treasure or disguised enemy, as the case might be. It’s a physical object of tactile interest. Online, faced with vertical scrolling and distracting peripheral activity, you have much less of that sense that you are “uncovering” something. Instead, we’re trained to expect all the important information will occur on the first screen. One resents the idea of clicking “NEXT” constantly. And the experience delivers zero physical satisfaction–no texture–no aroma–no way to know with your eyes closed if you can even turn a page. Hard Copy is still King, in a sense. But these days nobody seems to want a king.